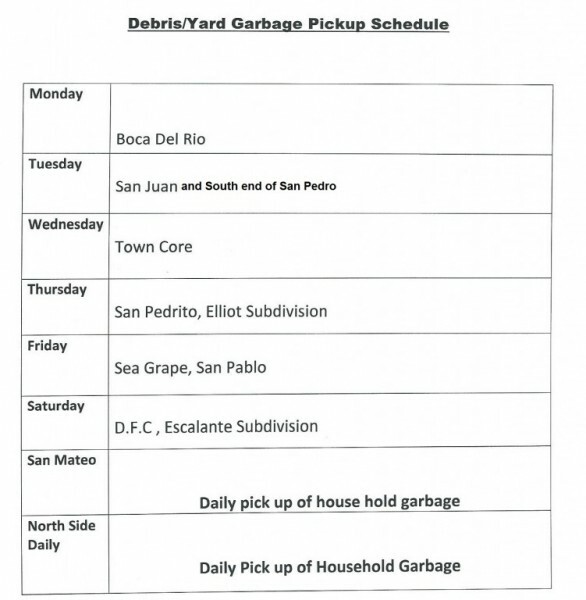 The San Pedro Town Council hereby announces it's new and updated Garbage pick up schedule starting as of Monday, January 26th. Please find attached the schedule. 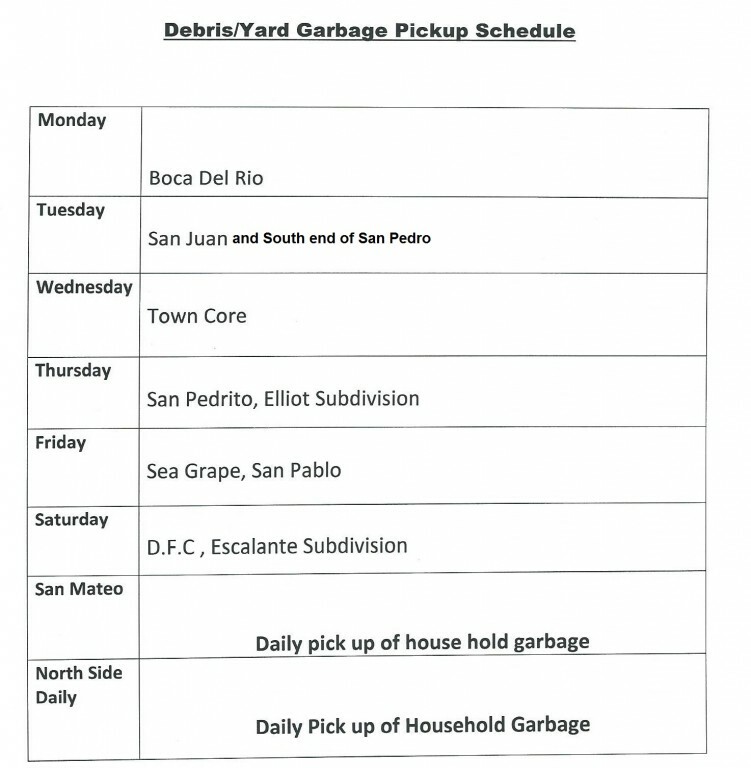 We appreciate the patience of the general public, we do ask everyone to please separate you household garbage from the yard debris. It is of utmost importance that you bag your garbage hence making it easier for the workers to handle and it is a more effective way to get your garbage picked up in a timely manner.